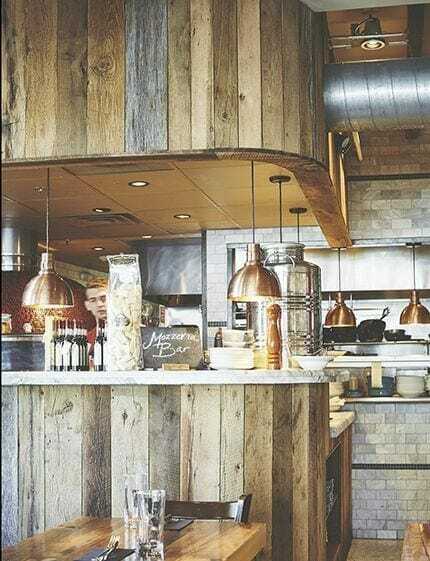 To complement Arde Osteria’s wood-fired flavors and rustic Italian concept, Provenance supplied a variety of reclaimed hardwoods and softwoods. 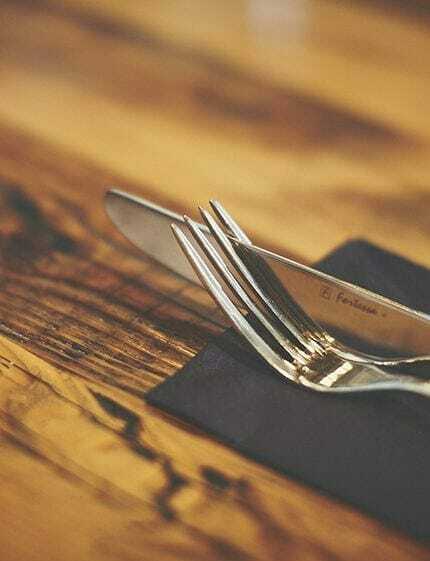 For Arde Osteria, a restaurant at the intersection of Italian recipes and local ingredients, Provenance supplied a surplus of rich, intriguing details for the rustic interior. Our reclaimed hit-or-miss hemlock tables set a charming scene for wood-fired pizzas and fresh-cut pasta dishes. 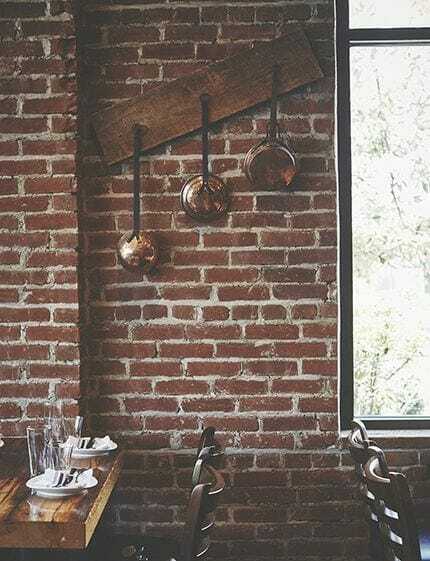 The chef’s station was clad in unfinished hardwood with similar slabs installed against a side brick wall for hanging décor. Hemlock joists, also reclaimed, add to the provincial feel. As a nod to the brick oven in back, the front of the restaurant features shelves of salvaged lumber, neatly stacked. The final look for Arde Osteria is warm and inviting, much like the restaurant’s fresh cuisine.